Click the following category link to view similar titles: Special Educational Needs. This Routledge Classic Edition brings together widely experienced editors and contributors to show how access to a whole school curriculum can be provided for learners with moderate to profound and multiple learning difficulties. Along with a new appraisal of the contents from the editors, the contributors raise debates, illustrate effective teaching ideas and discuss strategies for providing a high-quality education for these pupils and a celebration of their achievements. The book also discusses the active involvement of family members and the learners themselves in these processes and considers issues surrounding empowerment of learners, professional development of the workforce and curriculum principles such as differentiation, personalisation, and engagement. 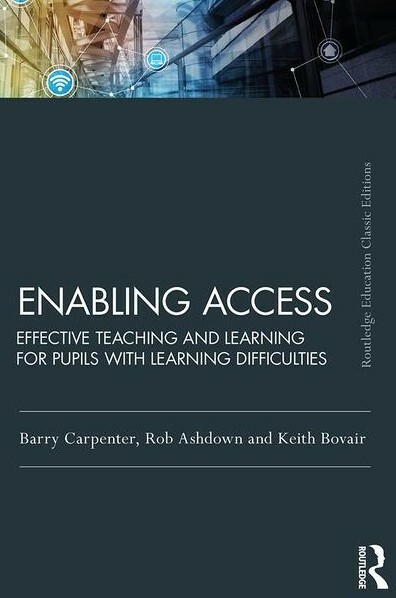 Winner of the prestigious nasen/TES Academic Book Award in 1996, Enabling Access is an essential read for students and lecturers in higher education, and for teachers, support staff, and other professionals in all educational settings in the UK and abroad catering for these learners. You can order any book in print from us! This site has been set up to only list new or specially recommended titles. We always aim to supply books for professionals at extremely competitive prices. Please contact us to order any other title you need by phoning us on (0117) 9672928 or by clicking here. Are you ordering for a company or other organisation? We can invoice your organisation if you prefer and we may be able to offer even larger discounts. Need Five or More Copies of a Particular Title? Contact us for an even better price on (0117) 9672928 or click here. Psychological Therapy Books © 2019. All Rights Reserved.